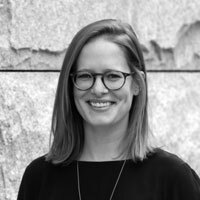 Nina Chase is the co-founder and Principal of Merritt Chase, a Pittsburgh-based landscape architecture and urban design practice. The firm works locally and has been recognized nationally for their public space designs, placemaking initiatives, and research. Formerly of Sasaki and the Pittsburgh non-profit Riverlife, Nina works to position landscape architecture as a foundational building block for cities. Nina is a registered landscape architect and a graduate of Harvard’s Graduate School of Design and West Virginia University. Nina’s professional experience is additionally informed by a commitment to the design and planning community through teaching, writing, and volunteering. Nina has lectured at MIT and Rhode Island School of Design, and she has served as a design critic at Harvard, Carnegie Mellon, and the University of Toronto. Nina currently sits on the national Landscape Architecture Foundation Board and the City of Pittsburgh’s Contextual Design Advisory Panel. She is an adjunct faculty member at Carnegie Mellon’s School of Architecture. Harvard respects your privacy. Please see our privacy statement and EU/EEA privacy disclosures for more information.